Horoscope 2014 is here for you to plan and adjust your schedules for the entire year in advance. 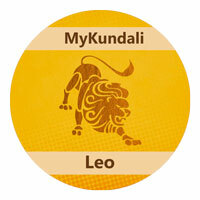 With the endeavors of MyKundali’s expert astrologers, 2014 horoscope is designed by keeping all the aspects of your life in mind. This is your astrology for 2014. Here, we have written horoscopes for all the zodiac signs in 2014. In this concise yearly horoscope, you will find all the 2014 predictions for your Moon sign. As here, we are offering you 2014 horoscopes for all the zodiac signs, we understand the importance of predictions in your life. 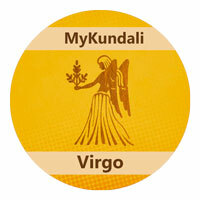 That is why, these predictions are made under the supervision of our expert astrologers. Here, in your 2014 astrology, we have covered various aspects of life; say, career, finance, love, job, profession, health, family and many more. Apart from this, prediction for 2014 constitutes the effects of the constellations. 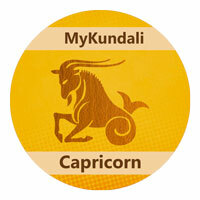 If you have never tried scheduling with the help of horoscopes yet, then don’t miss it this time too. 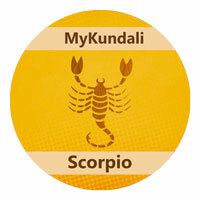 It is very interesting, as horoscopes tell you everything about the year in advance. Suppose you know that your health may suffer during October, then you will avoid planning any trip or something that may make you suffer. Let’s talk a bit more about 2014 horoscope. As horoscopes are the most basic part of astrology and everybody knows astrology because of the existence of horoscope, it is our first job to offer you the best horoscope for the year 2014. 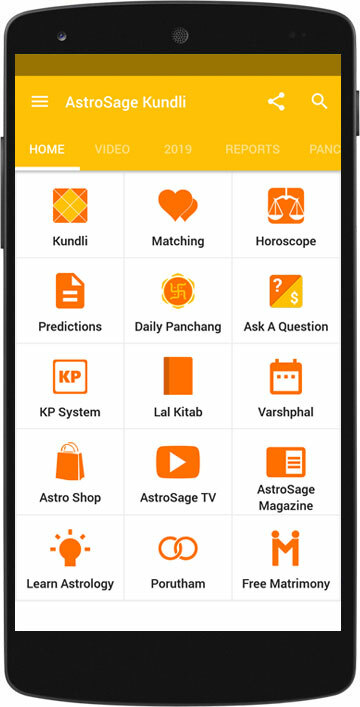 Being the largest astrology portal, AstroCAMP ensures to offer genuine services. Since years, we are striving hard to serve people in the domain of astrology and hence we have gained trust of many people. Continuing our efforts, every year we try to come up with something better. Hence, 2014 horoscope is developed after a lot more hard work as compared to the previous years. This time, we have kept everything in mind for you; be it health, love life, married life, profession, business, job or career. You will find everything here. 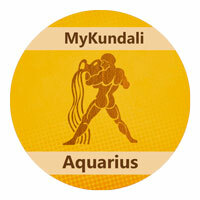 Since years, many people are working in the domain of astrology. However, only few of them have created a niche in the world. As we have got that space, it is our responsibility to offer best service to you. So, utilize the best of this 2014 horoscope and make your life easier. These predictions are based on your Moon sign. 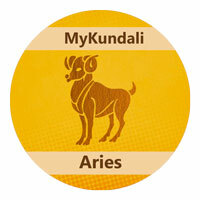 Arians, as the year 2014 will begin; horoscope 2014 predicts that you may face some troubles in business. Due to the Saturn’s influence over your career, 2014 horoscopes predicts delays, especially in the first half of the year. Horoscope for 2014 has analyzed that relations are at stake. Existing problems may get stronger, according to horoscope 2014. Some unfortunate incidents like accidents are also predicted by 2014 astrology. For love life, 2014 is the time for change. As change always brings good as well as bad phases; the time doesn’t seem easy for love birds. If horoscope 2014 has to talk about your health, you may not stay well. As per 2014 horoscope, stress will hamper overall functioning of your body. Astrology 2014 predicts that you may face a tough time at home and married life. Predictions of 2014 foretells that in this year, you will become less social and more practical. Financially, the time is favorable. 2014 horoscope also predicts that leadership abilities will improve. In difficult times, perform Mars remedies to stay at bay from troubles. More..
2014 is not so favorable for relationships. According to horoscopes of 2014, change of place is on your cards. 2014 horoscope foretells that you will have to workout a lot this year. Long distance friendships are also seen, as per horoscope 2014. 2014 will be peaceful for you. Astrology 2014 has analyzed that the time is favorable to increase your assets and buy some luxuries. 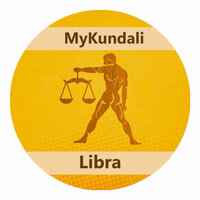 According to 2013 astrology, Saturn and Rahu are in enemy sign, Libra. It is hampering your social life. As per 2014 horoscope, children will take most of your time; you will stay busy in planning their future. Horoscope 2014 predicts that in the starting of the year, you will stay quite energized. However, second half may give you some illness. In 2014, November may be tough for you, health-wise. Career-wise, everything seems favorable. However, partnerships may not favor you. As per horoscope 2014, the time is positive if you are planning to settle abroad. Property dealings will be favorable, as what 2014 horoscope predicts. You should perform remedies of Venus to get rid of all the troubles. More.. According to the horoscope 2014, end of the year is favorable for you. Till then, you may have to face ups and downs of fate. Your horoscope 2014 predicts new opportunities for you. In the second half of the year, stay alert while socializing. Your 2014 horoscope sees financial status to be increasing. You will clear all your debts, as per 2014 predictions. If you are serious in love life, 2014 will favor you. However, the second half of the year may prove to be a little difficult for you. As per horoscope 2014, the health will be moderately fine. Career opportunities will increase in 2014; improving your work pressure. As per your predictions of 2014 horoscope, it’s quite a good time to go for professional studies. Horoscope 2014 foretells that the year is exclusively good if you are interested in religious and spiritual studies. It will be beneficial if you will travel to religious places in 2014. 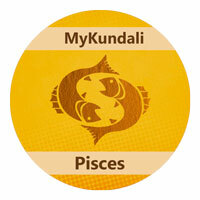 Astrology 2014 suggests you to perform the remedies of Mercury in difficult times. 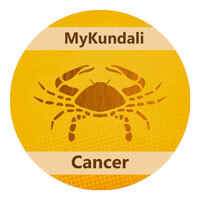 More..
Cancerians, as per your horoscope 2014, your financial as well as social status will enhance. Opportunities as well as responsibilities will increase; which will also increase stress in your life, hampering your overall health. According to 2014 astrology, you need to keep a control over your expenditure. 2014 horoscope suggests you to stay at bay from speculations. Not so favorable time for lovers - this is what your horoscope 2014 says. A new city may change the entire face of your life in 2014. You need to rethink before speaking. As per 2014 astrology, second half of the year may give you some health troubles, especially related to digestive system. Isolation and lack of socialization is predicted by 2014 horoscope. However, an increment in social status is expected. As per 2014 horoscope, travels may also increase. Your convincing skills will help you. Perform the remedies for Moon; it will pacify all the malefic effects. More.. In 2014, you will be able to see your goal more clearly. You will move toward your ambitions, but with difficulties. As per 2014 predictions, things may not move as per plan. Financial support of partners as well as friends & relatives will help you complete many activities. If we talk about your love life, 2014 doesn’t seem very favorable for you. In 2014, matters related to children or marriage will get resolved. As per your 2014 horoscope, you may also face some health issues like blood pressure and indigestion. Horoscopes for 2014 predict separation or clashes with closed ones. Your inclination toward spirituality will increase. As per 2014 astrology, it is a good time for students. However, if you are planning journeys during this time, avoid them. In the second half of the month, your health may suffer. In case of any trouble, performing Sun remedy will be beneficial to you. More.. In 2014, your reputation at workplace will grow; an increment is also predicted, but it will increase your work pressure too. You should keep your mind open to welcome any new opportunity. They will offer you assistance to come over crisis situations in 2014. Financially, 2014 seems to be a bit difficult. If we talk about personal life, time is also difficult domestically. Horoscope 2014 says that your immune system may get weak; hence you should stay cautious. Good period for making new investments; but risky, as a loss or theft is predicted in 2014. 2014 horoscope has predicted that your professional status will also rise. Work related travels will increase, which will affect your health. 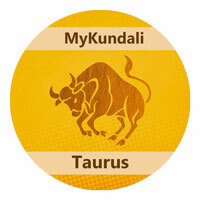 According to horoscope 2014, speculation or trading may cause you losses. You may stand alone with your projects, as no support is seen in your cards. If you face any obstruction, perform remedies for Mercury. More.. The year 2014 is quite significant for you. 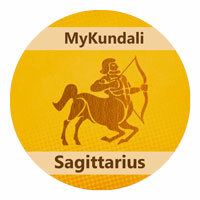 Saturn and Rahu are affecting major part of the year. Horoscope 2014 predicts that you will face big changes this time. In the first half of the year, you may face some professional life troubles. However financially, 2014 seems favorable. But, you may also face some obstructions. According to the horoscope 2014, personal life looks difficult during this time. In the second half of the year, you may burst out with your emotions. Horoscope 2014 foretells that your immune system may get weak. It would be better if you will lead a safe lifestyle. Stress is indicated in your 2014 horoscopes due to increased workload. You may get stuck into a lawsuit. As per horoscope 2014, you need stay clear with your thoughts, as chances of confusion are expected for you. Your optimistic approach and ambitiousness will help you achieve whatever you want to. In case of any trouble, perform the remedies of Venus. More..
2014 seems to be a better year, as compared to the previous one. New opportunities are on your cards, as what 2014 horoscope predicts. Your ventures will expand. However, second half of the year seems a bit difficult. Financially, you will stay unstable. Horoscope 2014 predicts that expenditures may keep you stressed. If we talk about your love life, 2014 seems favorable for you. However, in the second half of the year, 2014 horoscope predicts separation for a short span of time. According to the horoscope 2014, first half of the year is quite good health-wise. You need to stay quite attentive while driving. Some people may harm your reputation, so stay alert. As per the predictions made by horoscope 2014, investments in property will benefit you in the second half of the year. Also, you may face some loss of wealth or theft during this time. Perform the remedies of Mars to stay at bay from troubles. More..
2014 doesn’t seem much favorable for you. However, it is a good time for media people. Horoscope 2014 foretells that business will expand along with partners. But, some disagreements with the associates may trouble you. Financially, the first half of the year seems quite favorable for you. If we talk about your love life, 2014 seems quite positive. Your 2014 horoscope also predicts that children may face some problems in the second half of the year. Saturn’s influence may reduce your energy level. Increment in wealth and knowledge is seen by 2014 astrology predictions. As per the horoscope 2014, it is a good time for students. Disagreements at home may cause disturbed domestic life. You may have to face separation with your loved ones. 2014 horoscope predicts that you may have to face lawsuits due to clashes with people. If you go through a hard time in the year, perform the Jupiter’s remedy to get rid of it. More.. The year is good professionally. However, women may have to face some health issues in 2014. From business front, you may have to make some important decisions. Financially, you seem quite good in the first half of the year. Horoscope 2014 foretells that earnings and spendings will stay in proportion. Your social circle will expand in the first half of the year, as per 2014 horoscope. Saturn is influencing you positively. It will increase your energy level in the first half of the year. According to 2014 astrology, you may receive wealth through many resources. Your status will improve from all the dimensions. As per 2014 horoscope, investment in property is beneficial for you during this time. Leadership skills will improve. Partnerships will benefit you. Gains and success are on your cards this year. This is what 2014 horoscope predicts for you. However, expenditures may also rise. Perform the remedies of Saturn to get rid of all the troubles. More..
Horoscope 2014 predictions tell that the Jupiter is positive for you. In the first half of the year, it will increase your journeys. You will continue working with your optimistic approach like last year. In this time, your income may increase. As per Horoscope 2014; February, June and October seems to be giving you some more wealth. In personal life, your relationships may not stay smooth. Horoscope 2014 foretells that you are planning to relocate. Your energy level in 2014 may stay quite high. As per 2014 horoscope, your psychological energy will increase due to the influence of Jupiter. You will be able to express more of you to achieve what you desire. According to horoscope 2014, you will excel in whatever you will do. Support from colleagues and superiors will help you achieve your targets. Growth, success and prosperity will prevail. 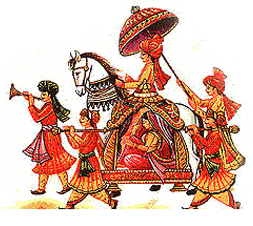 Astrology 2014 advices to perform Saturn remedies in case of any trouble. More..
2014 astrology has analyzed that Saturn and Rahu are posited in Libra. Year 2014 doesn’t seem a very favorable for you. It is a good time for making investments. Horoscope 2014 predicts that people from distant places may trouble you. Even your finances may give you a hard time, as per 2014 astrology. 2014 horoscope foretells that speculations may favor you to some extent in the second half of the year. If we talk about your love life, influence of Jupiter in Gemini may make you optimistic and independent; this will hamper your love life. Transit of Jupiter in Cancer may affect your relationship. You need to stay alert for your health. Astrology 2014 has seen change in your career and job. Students may have to face a difficult time. According to the horoscope for 2014, partnerships may not turn out helpful. Spiritual growth is seen in 2014. Society and government may give you difficulties. Horoscope 2014 predicts confusions in the second half of the year. Perform Jupiter’s remedies to overcome all the troubles. More..